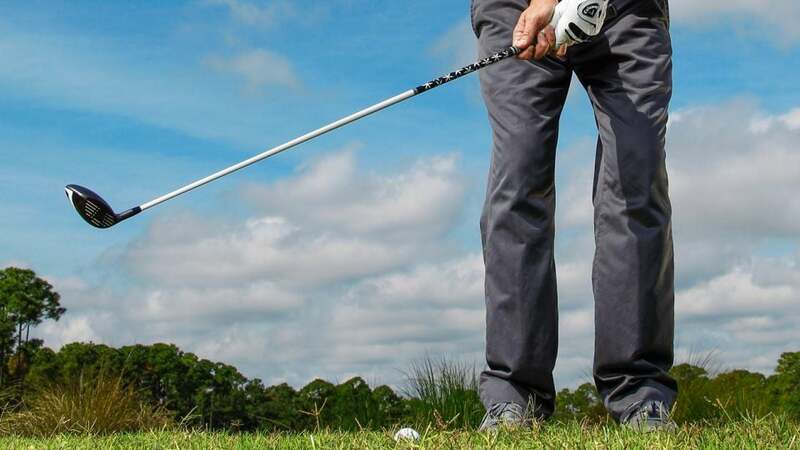 Scott Munroe has some simple tips to get you successfully chipping with your 3-wood. The ball is sitting in greenside rough, and you need a short stroke that produces enough loft to pop the ball out of the junk and onto the green. A lob wedge would have to be hit perfectly—you could easily skull it over the green or "fluff" it and leave your ball in the spinach. My advice? Use your 3-wood. At anywhere from 11 to 15 degrees of loft, a standard 3-wood provides enough launch to safely get the ball out of deep grass. And with about a foot more shaft length than a lob wedge, a wood lets you generate the force you need with a simple flick of the wrists. Here's how.